Special clear textured glass for cabinet doors or architectural glass designs. 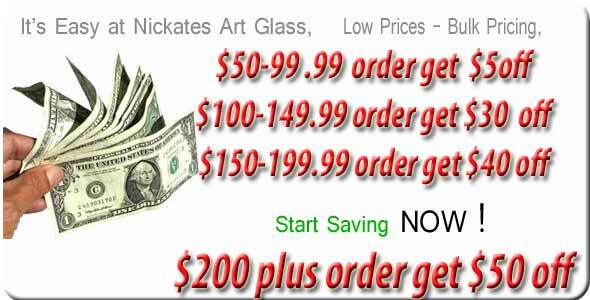 Always purchase enough glass at the beginning of your stained glass project to complete it! Glass colors, like dye lots of fabric, can change from one shipment to the next, and you may not find exactly the same color match if you need more glass. In addition, glass manufacturers produce some colors as seldom as once a year. The colors displayed here can only be an approximation of the actual glass color. Please send a small sample if you are looking for an exact color match. Glass sizes are approximate colors will vary. Architectural clear textured glass has lots of character and can be used in windows, cabinet doors or bathrooms. These clear textured glass styles offers privacy when visual diffusion is required. Clear glass is easy to cut for stained glass windows and projects. If your in the Boston Ma area location we can custom cut these clear glass textures for your cabinet inserts at a square foot price.